Odisha, July 16: Achieving a major fillip in strengthening its defence system, India on Monday successfully test-fired BrahMos supersonic cruise missile from Odisha's Chandipur range launch pad. Notably, the test was conducted in order to increase the longevity of its life. Notably, the BrahMos missile, which is the result of an Indo-Russia joint venture, can fly almost three times the speed of sound at 3.0 and has a range of over 300 km. The successful test will result in using BrahMos missile against targets in mountains and also against aircraft carriers. In May this year, India has successfully test fired the Indo-Russian joint venture BrahMos supersonic cruise missile from a test range along the Odisha coast to validate some new features. The trial was conducted to validate its "life extension" technologies developed for the first time in India by DRDO and team Brahmos. BrahMos alternates can be launched from land, air, sea, and underwater. After two successful test trials of BrahMos missile from INS Kolkata in June 2014 and February 2015, the test firing from INS Kochi on September 30, 2015, had validated the newly commissioned ship's systems. The air launch version and the submarine launch version of the missile system are in progress. 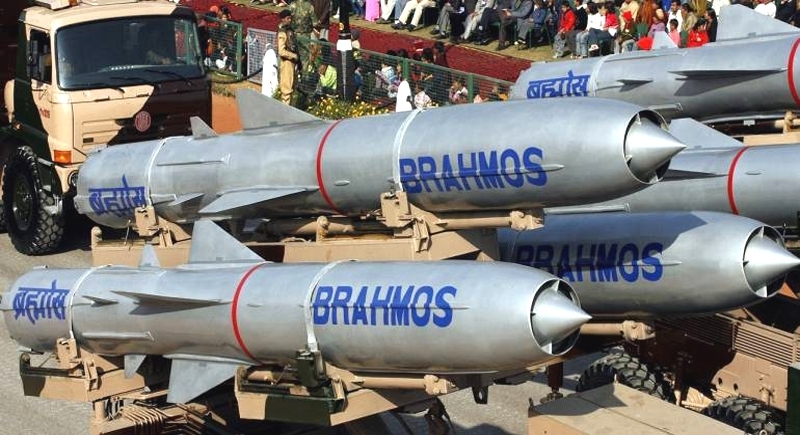 So far, the Army has placed orders for the BrahMos missile which are to be deployed by three regiments. Two of them are already operational. The last land-based trial was conducted from the same base on March 11, 2017, successfully. Importantly, the BrahMos has been inducted into the Navy and Army from 2006 onwards. The new version test-fired today is more versatile because it is a fast-moving Sukhoi-30 fighter can travel at least 1,500 km towards a target before the missile itself is fired. The missile then flies another 400 km to take out a target.